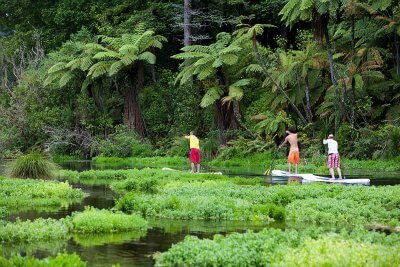 Rotorua Paddle Tours - This is something different. Have you ever considered how much fun it would be to stand up on a humongous surfboard and propel yourself along with a paddle? No? Can't say I had either. What I’m talking about here is Stand Up Paddle Boarding. It’s an actual bona fide sport which has been around for a long, long time. Apparently it's gaining in popularity worldwide. Don't get me wrong here when I refer to it as a sport. It is just as much a recreational activity too. Denise Martin and Bernd Sommers, who own and operate Rotorua Paddle Tours, were introduced to Stand Up Paddling (SUP) in 2008. They loved it so much they just had to share it with others. For Denise and Bernd, being involved with various water sports has been a way of life for a lot of years. USA, Europe, NZ. They’ve been there, done that with guiding and competing. 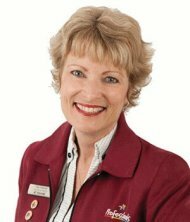 Denise is from Rotorua and began her career as a rafting guide on our very own Kaituna River. 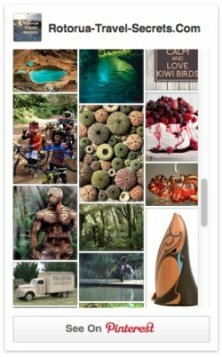 Some of her highlights include winning four world championships with the NZ women's whitewater rafting team. What an amazing achievement. And, it led to a Guinness Book world record. Bernd isn't left out because he has represented NZ at flat water championships. He's also a top German paddler who has many first descents internationally as a whitewater kayaker. Bernd has been paddling in some way or other from an early age. This has led him into the manufacturing and design of boats and paddles in NZ. If you happen to need stand-up paddles... or any other types, check out Sommer Designs. Two very talented people aren't they? 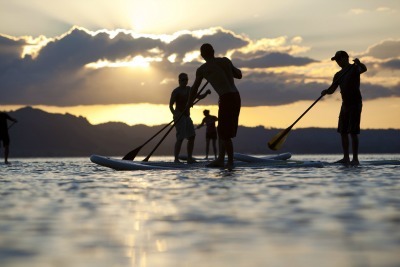 The SUP tours take place at various locations. Hamurana Springs, Lake Rotoiti, Ohau Channel, the Blue Lake and Lake Tarawera. They can take up to 3hrs with Lake Tarawera the longest at 4hrs. 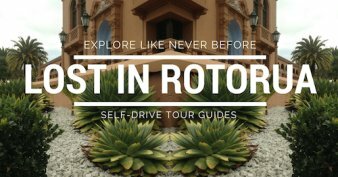 Each tour is a totally different experience depending on what appeals. Would you want crystal clear spring waters, riding currents (once you're taught how of course), hopping off for a soak in thermal pools or picnicking and taking in a native bush walk at Lake Tarawera? Decisions, decisions. Hours & Prices: Tours run daily 10am and 3pm. Current prices and the tours themselves can be accessed on the website link above. Transport can be arranged otherwise meetup at the various locations. 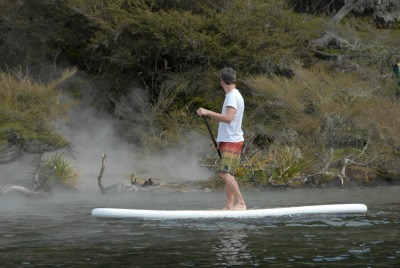 You will find out where once you make contact through the Rotorua Paddle Tours website. I've read reviews from people who were terrified to go on a paddle board tour. Once they got into it? The common reply was, "I loved it." And of course, training is provided before you're let loose. All you have to take along is swimming gear, a towel, sunscreen, sunglasses (glare) and don't forget your camera. Dry bags are available for this purpose. If you're worried about falling in the water your guide can hold onto it.